A torque testing intrument for medical, pharmaceutical, and industrial quality control, research and development and other torque applications. 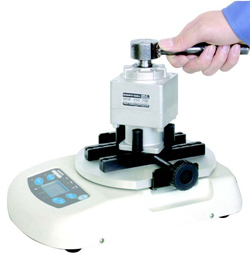 This torque meter is a precision instrument that measures OPEN and CLOSE torque values for various applications. 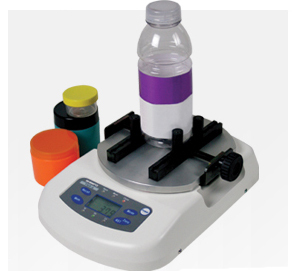 As a cap torque analyzer, the TNP determines bottle closure and breakaway torque. It has a wide memory capacity capable of storing 1,000 data points in addition to Average, Maximum and Minimum values. A HI-LO comparator feature can be utilized for large batch testing to ensure overall product quality. 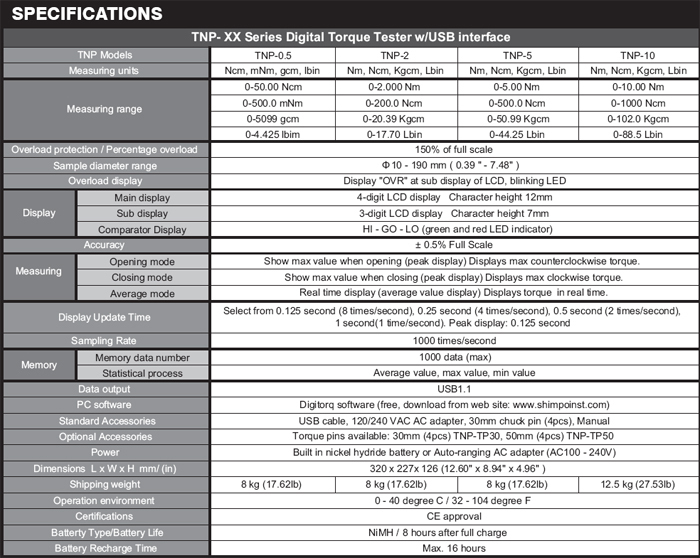 The TNP has a USB interface with "Digitorq" software. Built for portability, the meter can run on rechargable battery power or AC adapter.